A great visionary Reginald Burrows was not afraid of work . 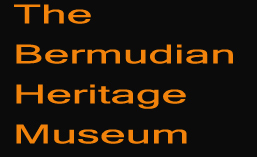 He was a dreamer and his greatest vision was to unite the Island of Bermuda and make it a better place. He loved history and was an avid sports person. He grew up in the Southampton community near Heron Bay. His earlier career was in plumbing. He gave his great grand father Profirio Gomez the credit for the example of his strong work ethic. His Grand father became the first Bermudian to be baptised as a Seventh Day Adventist while his son Reginald Burrows 1st. helped to found Vernon Temple A.M.E. Church. He was a major contributor to the founding of Southampton Rangers Sports Club from 1959 and became the club’s first president. He was a member of Riddles Bay Golf and Country Club. He started his political career very early in life and faced segregation in his personal business and political life, yet he won the respect across the social spectrum. He received a hall of fame award from Wilberforce University where he graduated in 1958 where he studied and received degrees in Engineering and Math. With the founding of the Political Progressive Labour Party in 1960 he chose to place his alliance with them . He became a stalwart for the party when it was unpopular to do so but he stood firm and was elected to serve as a Member of Parliament for Southampton East from 1968-2003 and later served in the senate. He severed the party for 35 years as a fine statesman.Thirty years later he was instrumental in helping to renovate the Alaska Hall into the party headquarters under the leader Hon. Frederick Wade. He was revered as a mentor and keen historian . He had a private members bill brought to the house of assembly in 1996 to allow the development of the derelict Bermudiana Hotel site for International Business was passed in 1997 in less than one minute with no debate. He served on the Defence board after the P.L.P ‘s first election Victory in 1998 he was appointed to head of Immigration Board as well as the advisory Council. He never had the opportunity to serve in the Cabinet. 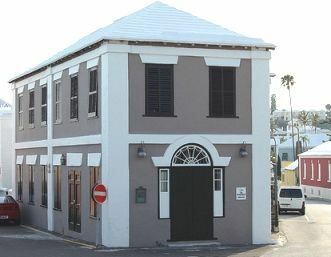 He classed as his greatest accomplishments was helping to make Bermuda a better closer society. He left us for his great reward at the age of 83 after a long illness. His faithful service did not go unnoticed and will never be forgotten.